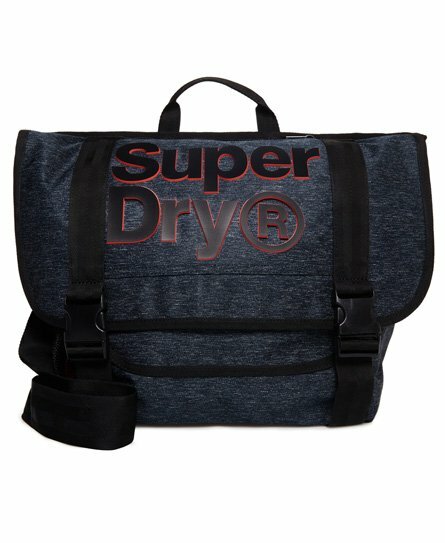 Superdry men’s Nation messenger bag. A twist on the classic messenger bag, this bag features a main compartment, a padded laptop sleeve and a smaller compartment with hook & loop fastening. This versatile bag also comes with a small front zip pocket, a mesh side pocket, top grab handle and an adjustable over-the-shoulder strap. The bag is completed with a high build Superdry logo across the front.